OMEGA brand ambassador Daniel Craig returns in the 24th Bond film, in which 007 infiltrates a secret meeting and uncovers the existence of the sinister organisation known as SPECTRE. He will of course be wearing his signature timepiece. A source of pride, as this is the 20th anniversary of OMEGA’s partnership with Bond. 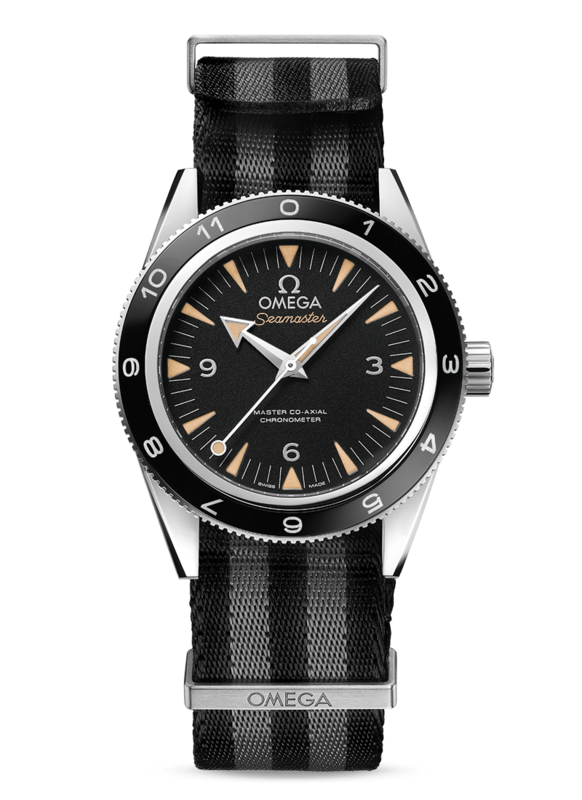 ‘SPECTRE’ will feature two OMEGA Seamaster models: The OMEGA Seamaster 300 SPECTRE Limited Edition with rare lollipop seconds hand and black and grey NATO strap as well as the OMEGA Aqua Terra 150m. Swiss watchmaking excellence has it´s price. If you want to be among the proud owners of either one of these true 007 watches, you need to dig deep into your pockets. 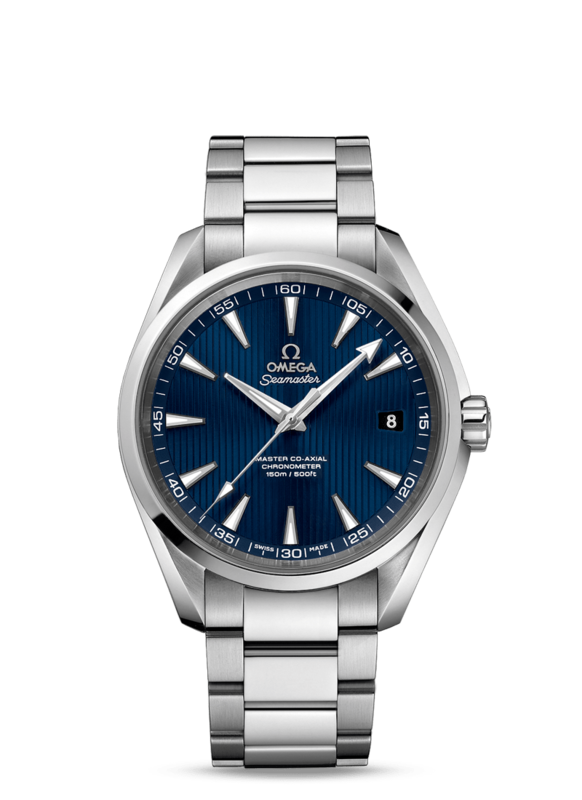 The Seamaster Aqua Terra 150m features free sprung-balance with silicon balance spring, two barrels mounted in series, automatic winding in both directions to reduce winding time. Bridges and the oscillating weight are decorated with exclusive Geneva waves in arabesque. The watch is designed to resist a magnetic field of over 15,000 Gauss.This is an intensity higher than any to which it will be exposed in everyday use. This model features a sun-brushed and lacquered blue dial decorated with the Teak Concept pattern and a date window at 3 o’clock. A scratch-resistant sapphire crystal protects this unique dial. The rhodium plated hands have a vintage (blue emission) coating of Super-Luminova, while other features include the “lollipop” central seconds hands, as well as the 5-stripe black and grey NATO strap – otherwise known as the James Bond NATO Strap. On the bracelet’s strap holder, “007” has been engraved.